We respect your privacy and believe the best way to serve you through a Site is with honesty, accountability and adherence to legal standards. We are extremely sensitive to the issue of privacy and have structured the features of Atlantic Digital Networks’ Kids Sites to minimize the requirement to collect personal information, and to maximize your control over the collection, use and disclosure of any personal information. For more information and tips on how to protect your children’s privacy, please visit the Canadian Marketing Association’s Special Considerations in Marketing to Children guidelines, Section K of the CMA’s Code of Ethics and Standards of Practice. There are software programs that allow parents to block certain websites from their kids. Some programs are more flexible than others, so you may want to shop around to find one that you’re comfortable with. We may collect two types of information from visitors to the Sites: Personal Information and Non-Personal Information. The website will collect Personal Information with consent or only where it is voluntarily provided by the parent or guardian. Non-Personal Information is any information that cannot be associated with an identifiable individual, such as aggregated statistical information (e.g. the average length of time users spend visiting the site), or other anonymous information, such as the type and version of browser being used to access the website or application. Your computer and its operating systems, browsers, and memory contain vast quantities of transaction data and records of your use of it. We may also collect information about you from a social network site you may have connected from, in order to provide you with a more personalized experience. In some cases, we will collect psychographic data from third parties that help us better understand our users. If you send an e-mail to us, or fill out our “feedback” form through the Site, we will collect your e-mail address and the full content of your e-mail, including attached files, and other information you provide. We may use and display your full name and email address when you send an email notification to a friend through the Site or the social network from which you have connected to the website or application (such as in an invitation, or when sharing your content). A user may be able to enter a contest through the Site. However, only parents or those who have reached the age of majority in their province of residence may enter contests on the Site. On the online entry form, we ask for personal information such as the entrant’s name and address. Unless otherwise specified in the applicable contest rules, this personal information is collected, used and/or disclosed solely for the purpose of awarding contest prizes, tracking compliance with the official rules and regulations and for internal feedback purposes. We will only use and disclose a contest winner’s name and photograph after receiving prior written consent from the winner (or their Parent, if the winner is under the age of majority in his or her Province of residence) and the appropriate release forms are fully completed by a Parent and returned to us. We have created lots of fun and interesting activities that you and your children can participate in. In order to access some services through the Site, you may be required to register or otherwise voluntarily provide Personal Information. In addition to using Personal Information to keep in contact with users we may use your information for the following purposes: (i) to better understand viewer and user needs and preferences; (ii) to improve the content and format of our Sites; (iii) to notify visitors about updates to our Sites; (iv) to keep you informed and market products and services (both ours and third parties’); (v) to administer contests and special events; (vi) to establish your eligibility for special offers and discounts; (vii) to complete business transactions; (viii) to contact you as part of a promotion; (ix) to administer individual accounts; (x) to provide customer support; (xi) to personalize your experience and make content recommendations; and (xi) to meet legal requirements. If you would like more information about this practice and to know your choices about not having this information used by these companies, visit youradchoices.ca. Rest assured that we nor any third parties acting on our behalf collect browsing information respecting the use of the site by children, nor do we target advertising to children based on browsing activity. We work closely with a number of parties who may perform functions on our behalf, including fulfilling orders, providing streaming services or other third party content, providing promotional materials to our users, sending e-mail, managing, compiling and processing data, administering contests, processing credit card payments or providing customer service. Data, including Personal Information, may be stored or processed outside Canada or in the cloud where it will be subject to the laws of the jurisdiction(s) in which it resides. We do not disclose your Personal Information to these parties except to the extent necessary to enable them to provide the specific services to you or on your behalf. Third party service providers are contractually bound to maintain the confidentiality of your Personal Information and are prohibited from using your Personal Information for any other purpose. In the event of a proposed or actual sale of all or a substantial portion of our business assets, your Personal Information may be disclosed to potential buyers where necessary to determine whether to proceed with the transaction. Where such a transaction is completed, your Personal Information may be among the transferred assets. In such event, the purchaser will continue to be subject to the confidentiality obligations posted herein. Occasionally, you will have the opportunity to submit ideas or content such as pictures, videos or audio for inclusion on the Site for airing on one of our services. At the time of submission, the producers of these shows will also ask the users to include a contact number, email or address. Only those who produce the show in question will have access to the contact information and it will not be passed on to a third party. People who submit ideas or content may be contacted if the show’s producers are possibly interested in using such submissions. If you choose to use a referral service to “tell a friend” about the Site, a specific article or feature on the Site, or a contest that is running, we may ask you for your friend’s name and email address. We will then send your friend an email on your behalf inviting him or her to visit the relevant webpage or check out the Site. We store your friend’s name and email for a short period for the sole purpose of sending this email and to be sure that your friend does not receive multiple copies of the same email message. We do not keep or use this information for any other purpose. The Site may include social media features, like the Facebook “Like” button. These features may collect information about your IP address and which page you’re visiting on our website, and they may set a cookie to make sure the feature functions properly. We make social media sharing buttons available only on portions of the Site directed to adult users and Parents; however, the child –focused portions of the Site do offer video content through the use of third party video-sharing widgets, which may contain sharing functionality. Social media features and widgets are either hosted by a third party or hosted directly on our Site. Your interactions with those features are governed by the privacy policies of the companies that provide them. We have policies and procedures in place to protect the integrity, privacy and confidentiality of the information that we collect and maintain, including contracts with third parties that manage the information provided by you. All Personal Information is stored on secure servers, behind a firewall at a data center with access to data strictly controlled. Please be aware that, despite our best efforts, no security measures are perfect or impenetrable. We review our security procedures on a regular basis to consider new technology methods. Only individuals specifically involved in the analysis and other functions set out herein have access to your Personal Information. These individuals have been provided the requisite training on our privacy policies and practices. To help ensure the privacy of your information, we urge you not to share your user name and password with anyone and recommend that you change your password frequently and store it in a safe place. If you are asked to create a user name or password, please select words that do not personally identify you. We may offer “auto login” which allows users to enter member areas of our website without re-entering password information. You may want to disable auto login on your device, in order to prevent access by unauthorized users of your device. Your Personal Information will be kept as reasonably necessary for the intended purpose or as required by law. Once your Personal Information is no longer necessary or is required by law to be no longer retained, your Personal Information will be destroyed or de-identified. Users of the Site may delete any Personal Information previously submitted through the Site, unless such deletion would compromise privacy or security interests. To update or delete your information, please contact the company’s Privacy Officer, at the address listed below. Atlantic Digital Networks Limited. and its subsidiaries (“ADN”) refer to all of the companies owned and/or controlled by ADN. 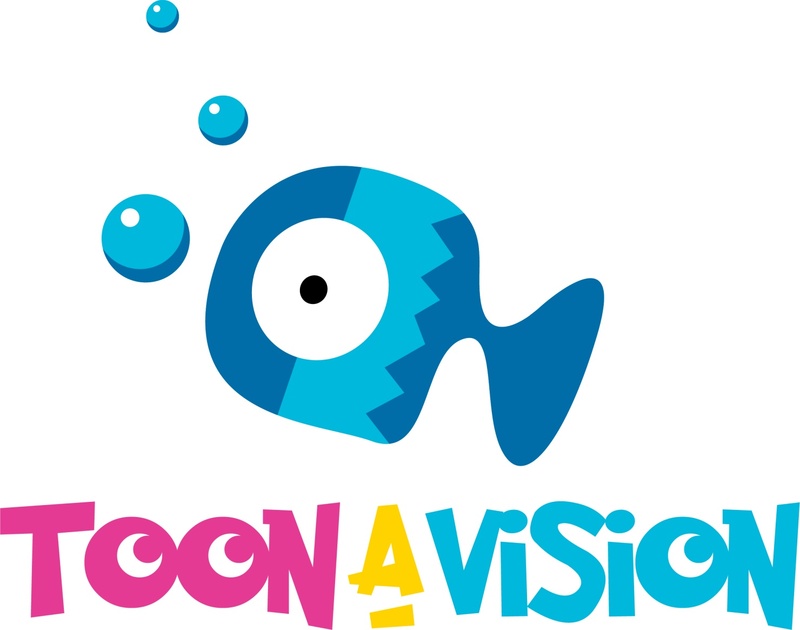 These companies operate under a number of brands, which include, among others, the following: Toon-A-Vision, Eh-Vast, The Lagoon, Atlantic Digital Kids, Atlantic Digital Cartoons, Atlantic Digital Drama. Personal Information is any information about you as an identifiable individual, such as your name, your child’s first name, address, telephone number, and e-mail address. We only collect Personal Information where you voluntarily provide it. Non-Personal Information is any information that cannot be associated with an identifiable individual, such as aggregated statistical information (e.g. the average length of time you spend visiting the website), or other anonymous information, such as the type and version of browser being used to access the website. Your computer and its operating systems, browsers, and memory contain vast quantities of transaction data and records of your use of it. Sites include all websites and Applications owned and/or controlled by Atlantic Digital Networks. An Application or App is a program designed to perform a specific function directly for the user, which may be displayed online, on mobile or other platforms. Children are individuals who are not of legal age to provide consent for the collection of their personal information, which includes persons 13 years of age or younger. © 2018 by Atlantic Digital Networks Limited. All rights reserved.